500 years ago this week, the world changed. A Bible teacher and priest, Martin Luther, posted ninety-five theses to the door at the Castle Church in Wittenberg, Germany. Luther grew up the son of a very strict father. During his childhood, he was taught by very abusive teachers. He decided to skip out on his father's plans for Martin to become a lawyer, thinking there was no benefit in amassing earthly wealth if one's eternal salvation was in jeopardy. So Luther became a monk. After years of prayer and study, he was even less secure in his salvation. He was afraid of God, whom Luther assumed would treat him in the same authoritarian ways of his father and teachers. The monks believed Luther should be a priest. Then they shipped him to Wittenberg to teach at the local university. "As soon as the coin in the coffer rings. the soul from Purgatory springs." Luther and others believed this teaching was corrupt. Wanting to protest this and other dubious doctrines of the Church, Luther nailed his statements to the front doors of the local church. 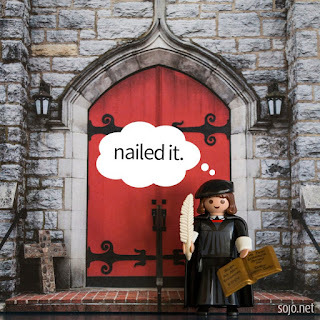 That was October 31, 1517, commonly referred to as the day the Protestant Reformation of the Church began. Ultimately the original wood doors of the church were replaced with iron doors, which are permanently inscribed with Luther's 95 theses. Christians around the world commemorated this historic event this week. Different Christian groups released statements celebrating common beliefs. While the Protestant Reformation officially began October 31, 1517, official splits among Christians were a long standing historical reality. For his part, Luther faced the wrath of the Church. Luther challenged the authority of Pope Leo X. If it is true that the Pope can free souls from Purgatory himself, then he should do so not for trivial reasons like building a church, but simply out of love-- and freely. Facing the possibility of excommunication or even execution for his actions, Luther famously defied the Holy Roman Emperor Charles V: "I cannot and will not recant anything, since to act against one's conscience is neither safe nor right." Martin Luther posted his 95 theses on October 31 intentionally: it's the day before the traditional observance of All Saints Day, November 1. He knew churchgoers would flock to the church on the following day to see his thoughts posted to the door. All Saints is a day to recognize the unity Christians have in the Body of Christ. Even where there have been differences of dogma or theology we have a common love for Jesus, plus a common vision of the world and our ultimate future. Recent surveys of Christians in the US and Europe reveal a coming together of beliefs about faith and life. 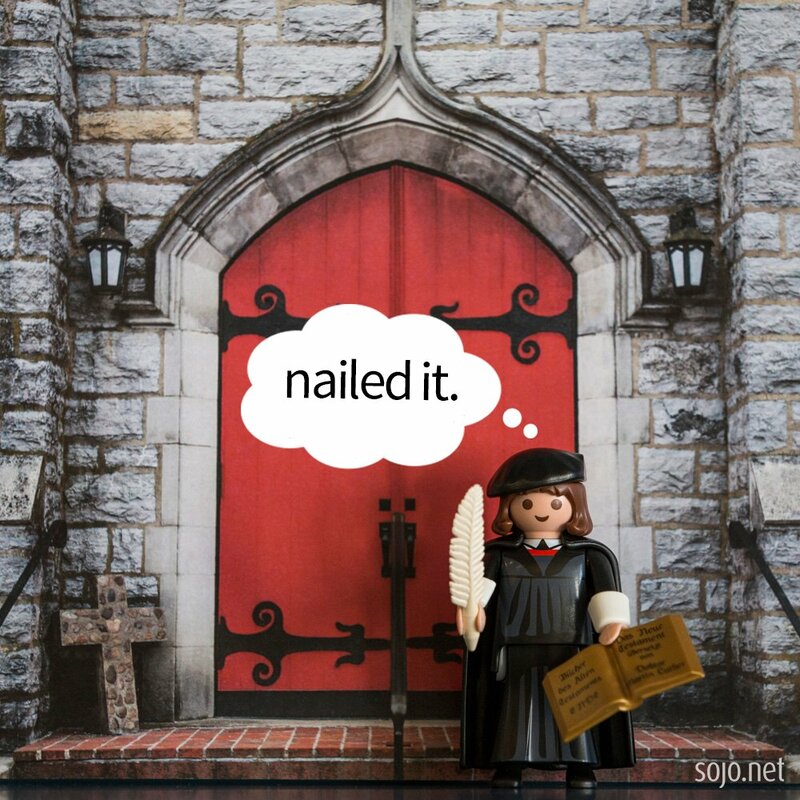 Luther and other Protestant reformers taught that salvation was only the gift of a loving, gracious God: faith alone saved us; scripture alone showed us a path to salvation. Today, fully half of Protestants believe salvation is a combination of faith and actions, traditionally a Catholic doctrine. Only half of Protestants support the idea that the Bible is enough for salvation; the other half of us believe there is some combination of scripture, traditions of the Church, and Church teachings that lead us to salvation-- again a traditionally Catholic teaching. We are learning to embrace a more inclusive belief system. Considering the two texts for this All Saints Sunday, this is more inclusive healthy understanding of faith is essential. 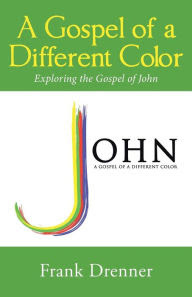 1 John speaks of the family of believers. It is because of God's love that we are all considered sisters and brothers. We are, all of us, God's children. Revelation points to a heavenly celebration where believers of all backgrounds and nations, sexual orientations, church memberships, who they voted for in 2016, modern or traditional worshipers, all of the faithful are gathered together, worshiping the Lord in the presence of the Lamb. All of these saints have washed their robes in the blood of the lamb, and now clothed in dazzling white they sing praises to the One who raised Christ from the dead. Such a vision should inspire all of us to lay aside our differences, our prejudices, and our self-righteousness. The vision affirms the complete absence of need: no one is hungry, no one is thirsty, the sun doesn't scorch them. They each receive life-giving water from the Good Shepherd. And God wipes away every tear from their eyes. Meister Eckhart lived 300 years before Martin Luther. He said, "Do not think that saintliness comes from occupation; it depends rather on what one is. The kind of work we do does not make us holy; we make it holy." Eckhart, Luther, and the names we will soon read from our own church and individual lives have all joined in that heavenly chorus, and we honor the memory of every one. On this All Saints Sunday, following a year of recognition of the birth of the Protestant Reformation, let us all draw together with other believers in Christ, not just to anticipate our place among the glorious company of the saints of light. We recognize the vision of Christ for our ministry as believers, that we may work to obtain it in this life: that no one would know hunger or thirst or any other burden that limits peace and hope for God's people. As Martin Luther took his stand 500 years ago and did not waiver regardless of the consequences, may we stand on the side of those who hunger and thirst for righteousness, that God's kingdom may come to earth, as it is in heaven. In the name of the Father, the Son, and the Holy Spirit, Amen.